Thanks to the Mammography Quality Standards Act of 1992, the FDA has the power to certify, regulate, and annually inspect clinics and hospitals where mammograms are offered. As a result, it can also broadly set standards for how these services are provided. According to the agency, the proposed rule change would be the first major one to come down the pipeline in more than 20 years. “As part of our overall commitment to protecting the health of women, we’re proposing new policies to modernize our oversight of mammography services, by capitalizing on a number of important advances in mammography, like the increased use of 3-D digital screening tools and the need for more uniform breast density reporting,” said the soon departing FDA Commissioner Scott Gottlieb in a statement. There are different kinds of dense breasts, but generally, the term describes having more fiber-like and/or glandular tissue than fatty tissue. About half of women in the U.S. are considered to have dense breasts, with 10 percent having especially dense breast tissue. The relationship between breast density and cancer risk is complex though. By itself, dense breast tissue is linked with a higher risk of cancer—a risk that increases the more dense tissue you have. 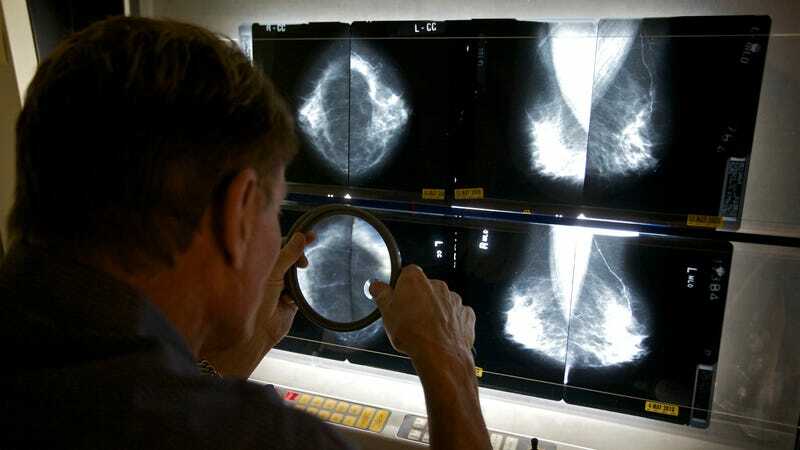 But dense tissue can also make reading the results of a mammogram harder, since its white appearance on an X-ray can look very similar to tumors and other abnormal changes in the breast. That means doctors are often less certain about whether a woman with dense breast tissue is actually at any heightened risk. So these women tend to be advised to get additional tests, which can include other imaging techniques like MRI or ultrasound. But while this might sound harmless, it’s still unclear whether additional testing for these women (in particular, those with no family history of breast cancer or other major risk factors) is helpful the large majority of the time. In the case of false positives, it could very well be an unneeded source of stress. In many states, doctors are already obliged to tell patients upfront about their breast density. But the FDA’s rule change would set a minimal standard for reporting. This standard would mandate that doctors also explain the complex nature of breast density to their patients. At this time, only a handful of states require that insurers automatically cover any supplemental testing for this particular risk group. The FDA’s plan didn’t spring out of nowhere. In February, a provision in the spending bill that staved off another partial government shutdown called for the agency to develop these standards for breast density, part of a long-term effort by grassroots activists that was amplified by senators including Dianne Feinstein (D-California). Currently, the United States Preventative Services Task Force recommends that the average woman get mammograms every two years from age 50 to 74, while higher-risk women could start at age 40. The American Cancer Society, however, recommends that women generally get yearly mammograms at age 45, switching to once every two years from age 55 onward.